This amazing and rarely heard jam session was only previously issued in worst sound quality on a long out of print Italian album. 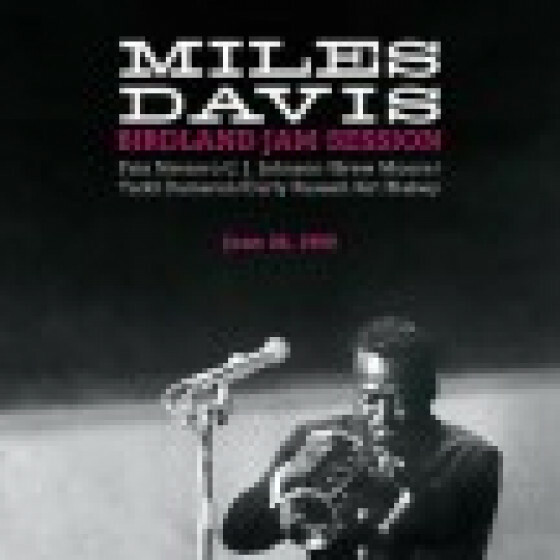 It features Miles jamming at Birdland surrounded by some of the greatest bebop all stars, like Fats Navarro (who would die a week later), J.J. Johnson, Tadd Dameron and Art Blakey. It contains an amazing quartet version of Embraceable You by Miles and the rhythm section, and the trumpeters only existing reading of Thelonious Monks Eronel. Miles Davis (trumpet); Fats Navarro; (2nd trumpet on 2-3 & 5-6 only); J.J. Johnson (trombone); Brew Moore (tenor sax); Tadd Dameron (piano on 1; 4-5 & 7-9); Walter Bishop Jr.; (piano on 2-3 & 6); Curley Russell (bass); Art Blakey (drums).